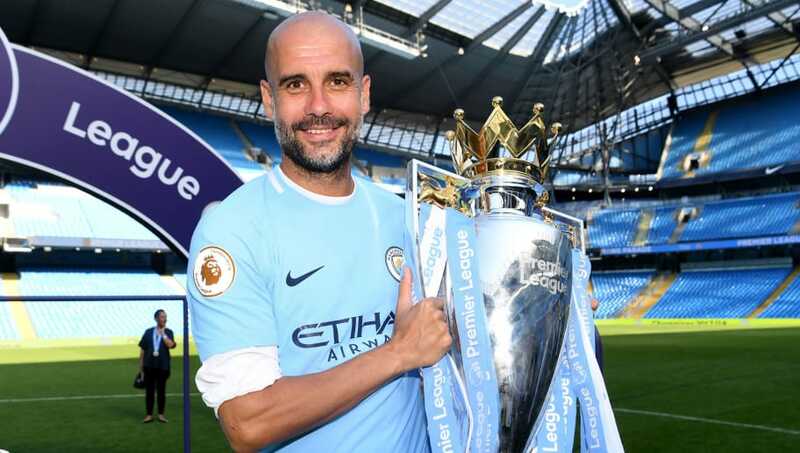 ​Manchester City manager Pep Guardiola has stated that his team has a 'good chance' of becoming the first Premier League champions to retain the title since 2009, but only if they can continue to perform with the same consistency that characterised last season. "Our target is: try to win as much as we can and in April and May, we will see. If we are good and consistent like last season, we have a good chance," Guardiola said as he assessed the upcoming campaign ahead of the opening game against Arsenal, via ManCity.com. Despite sending the most players (16) of any club on the planet to the World Cup over the summer, City even have virtually a full squad to choose from after Raheem Sterling and Kevin de Bruyne returned to training in good shape and are fit to play. "Raheem and Kevin had three weeks off after the World Cup, which is not too much time [for pre-season] but they both arrived in the perfect way," Guardiola explained. "Sterling was fit after three or four days - he is not a big guy. [Maintaining] his physical condition is easy. Kevin arrived in the perfect way." City won the ​Premier League by 19 points last season, setting new record for overall points, goals and wins in a 38-game season. But, for Guardiola, they have to go further and reach another level as simply doing the same again won't be good enough. "Doing the same will not be enough. That is my experience at ​Barcelona and ​Bayern Munich," he told ManCity.com earlier this week. "Every player has his own way to decide to play the game. The manager has to decide which way we play. Every manager believes in their own way."